I'm going to resist the tempation to make a Gene Simmons joke here. If you're still with me, I'm actually going to preface this entry with some discussion concerning John Coltrane. I've been listening to a bunch of fantastic audio interviews that he graciously gave on various occasions in the early and mid sixties. This was a very pivotal time for jazz on several levels and the discussions are long, unpolished and very culturally revealing. They portray what I perceive to be a humble, searching man. Anyhow, they deepened my appreciation for his music and personhood and brought me back to what I would consider my desert island song as far as jazz goes. I'm not going to go too deep here, because this is a whole nother post that I most definately intend to write at some point. All the same, John Coltrane's "Ole" recorded in 1961 is a song worthy of your full attention. At some point, carve twenty minutes out of your life, seek out seclusion, sit between the speakers, turn up the volume, and drop the needle on this monster of a tune. Eric Dolphy, Reggie Workman, McCoy Tyner, Freddie Hubbard, Elvin Jones, Art Davis. It's a game changer. It should be stated that Coltrane's composition is based upon another, but I'll hold back on those details as well. As I've researched this song, I have come across a few covers (Pharoah Sanders, Noah Howard, etc...). 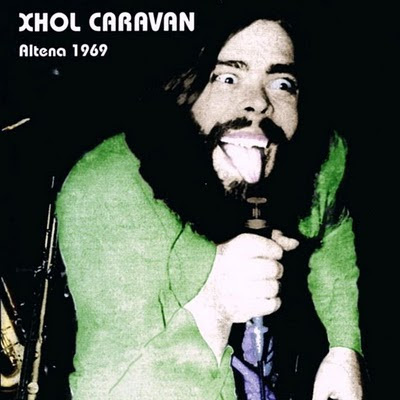 Recently I stumbled upon the following rendition by pioneering Krautrockers Xhol Caravan and have been really taken with it. The others that I've heard have been great, but they've been done too much in the vein of the original and therefore fall terribly short. Mere shadows. The original is foreboding and visceral with a climax that peels the paint. In a very different way, this version grooves. It is at times funky, psychedelic, and slightly vague while staying true to the spirit of the song. Though it isn't close to being in the same galaxy as Coltranes, it is easily my favorite cover. That a couple of freaked out German kids laid this down in 1969 is down right fantastic. Dig the additional videos and note the blonde haired boy playing the guitar against the organ. Part one of the videos that I had hoped to put up (including the above mentioned blonde haired boy) can be found here. Unfortunately, the person who put them up disabled the embedding capability.